100% Melamine, Size: 8.75" (56 oz), Swirl Shaped. Color: Black, Dishwasher Safe Break Resistant. 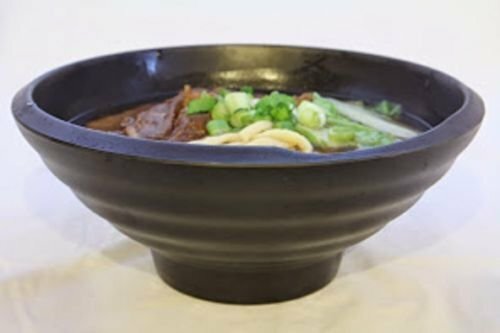 This size of bowl is perfect for restaurant serving use. 100% Melamine, Food Safe and BPA Free. Safe for temperatures up to 212 degree F / 100 degree C, but NOT recommend for conventional oven or microwave oven use. If you have any questions about this product by Lucky Star, contact us by completing and submitting the form below. If you are looking for a specif part number, please include it with your message.